Have you ever had a client that you assumed would never leave, and then unexpectedly moved their business away from your agency? As an insurance and marketing professional, I see this happen too often and I have also learned this the hard way from my own personal experience. Sometimes, even your "lifetime client" will leave if they aren't getting the service they feel they deserve. Early on in my career in marketing, I wrote a $10,000 up front agency account which went on to bring on over $3 million in revenue for the lifetime of the account. We had a good relationship (or at least I thought) and after a few renewal dates, I simply figured they would be a client for life. Never had a problem, would reach out when they did, and was always happy to work with us. Then, one morning in July, I got back to my desk at the office after a weekend away to find out that client sold his book, and ended the business relationship. My heart stopped, then I immediately got upset. Not upset for my client and his success, upset because in that moment I realized I hadn't done enough to foster that relationship, or the upcoming relationship with the new agency owner. After a week of pouting, the stark reality hit me upside the face. I didn’t earn their business. In fact, I took it for granted. I deserved to lose it. As insurance professionals, there are two things that should be your focus every single day; Relationships and Risk Advice. How are you developing and improving the relationships with your clients and what are you doing to help them control their true cost of risk? The top reason that insurance clients move their account to another agency is indifference. Not an egregious mistake or a premium increase, but most often, it’s simply indifference. At Avenge Digital, we believe that the goal of every agency should be to achieve 100% effective retention on their best clients. Outside of businesses closing or merging, death, or any other factor outside of your control, your agency should maintain 100% of the clients you want to keep. Is maintaining 100% of your top clients possible? Well, if you are like most agencies, the answer is no. However, if you are committed to providing a continuation process with exit barriers based on relationship management and risk advice, the answer is yes. Stop renewing accounts and start continuing relationships! Most agencies focus on how they will renew accounts. What if your agency spent more time on building value-based relationships and less time stressing over renewal dates and pricing? 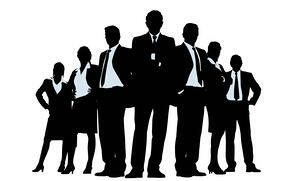 The people who run your machine are your greatest asset. Beyond fostering a fun and productive environment, providing your team with a live stream of leads or calls is the first step in keeping your pipeline full, and the start of any retention process: gaining the business first. "The agencies I've worked with provide a variety of aggressive marketing campaigns that allow new producers to close business and earn commission. The agent is thinking more about the long term versus the short term financial investment. They calculate their marketing budget not just by the close rate of a specific campaign, but on the collective productivity of a producer and their residuals. The agents who have the most successful staff believe in the competency of their producers. They aren't afraid to make a marketing investment because they've already invested time and training into the producer. If they find themselves afraid to invest in a campaign, they should re-visit the fundamentals with their producers and find the gaps in training and handling prospects." She has a point here. By having a hands on approach with internal training, and having a solid follow-up process in place, this is the foundation of where your retention will come from. One of biggest mistakes we see agencies make is that they do not round-out their clients accounts. Do you write all lines of your client’s business (personal lines, commercial lines, life, and benefits)? Why not? Even if the other lines of coverage are handled by a different department, your agency should still be the point of contact for all of their insurance needs. The sad truth is that many agents do very little in terms of proactively contacting their clients. Every touch point, or contact, is either an emotional withdrawal or a deposit with your clients. If your client’s only interaction with your agency is regarding billing, claims, or the upcoming renewal, you are sucking the life out of your most important relationships. I was recently speaking with an agency leader who said one of the most powerful and effective things she has ever done is to put a list of her top 20 clients in his desk drawer and make regular calls simply to check in to see how he can help and add value. Remember, if you aren’t making regular contact with your clients, someone else is. 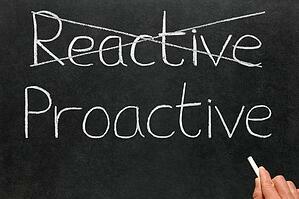 Schedule and execute on specific proactive contact. This can be anything from a thank you, a friendly check in, a birthday, or holiday. There is no bad reason to touch base with your client if it is providing an emotional deposit. Additionally, I have seen a few agencies go a step further and do the same for prospective clients whom might not be eligible to close today, but will keep in contact with that prospect for when the time comes as they will be first on their mind! Could you imagine playing a game where the rules are made up as you go along? That’s what many agencies do with their clients. There is no defined outcome, schedule, or expectations. Therefore, at renewal time, instead of feeling confident that you have performed as expected to continue the relationship, you simply hope that the score will turn out in your favor. When I ask most agencies about their continuation (renewal) process, they start about 120 or 90 days from the renewal date. An effective continuation (renewal) process starts by understanding the client’s expectations up front. What are the rules we will play by? What do they expect from the agency? This needs to be defined up front. Does your agency have a defined service calendar for your client? Do you provide an annual stewardship report? Do you conduct annual risk reviews? Do you have a defined plan of how their account will be marketed in the future? These are just a few of the items that need to be discussed up front in your continuation process. Having no plan is a bad plan. 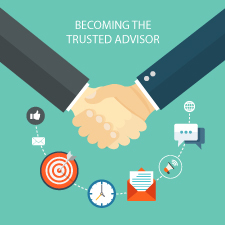 I talk a lot about being a "trusted advisor". I do it for my team, and I preach it to our clients, and here's why: As an insurance professional, you provide knowledge, insight, and advice that your clients can’t get anywhere else. That’s what makes you a professional. You need to position yourself as a member of your client’s financial team. The analogy I use, and I visualize myself doing this for my own clients, is that I'm trying to sit on the same side of the table working together and not across the table. When you come from a place of honesty, integrity, and transparency, you will do a lot of emotional deposits for your clients. People don't forget when they've been treated well. How difficult are you to replace? What do you offer or what can you offer to your clients that no one else can provide? What makes you indispensable? This could come in the form of your risk analysis for a specific industry, your network of resources, your consistent communication, your community involvement, or your ongoing educational services. Only you can determine how to become indispensable, but when you find it, you clients could not imagine doing business with anyone else. 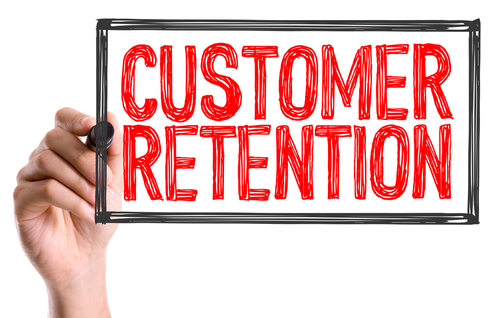 Getting highly effective retention is possible. Yes, it may be more work up front, but when you implement these six strategies with your clients, your relationships will be stronger, your referrals will increase, and your stress level will decrease. The goal is to have clients for life. We don’t want to churn clients. We want clients that are with us forever. Even a 1% to 2% increase in your retention can improve your agency’s overall profitability by 5% or 6%. Tell us what you think? What are you doing today that will grow the relationship with your clients? We want to hear from you!